Here are all the ages of the VERY young cast. Millie Bobby Brown (born February 19, 2004) is 14 years old. She was born in Marbella, Spain. 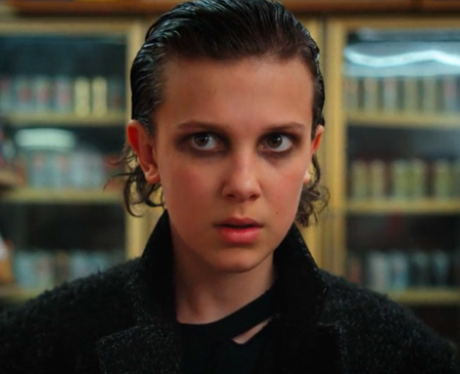 In season 1 of 'Stranger Things', the character Eleven is 12 years old. 3. How old is Noah Schnapp? Noah Schnapp, (born October 3, 2004) is 13 years old. In season 1 of 'Stranger Things', the character Will Byers is 12 years old. 8. How old is Lucas from 'Stranger Things'? Caleb McLaughlin (born October 13, 2001) is 16 years old. Like his co-star Gaten Matarazzo, Caleb also got his start on Broadway. He played young Simba in a stage adaptation of 'The Lion King'. In season 1 of 'Stranger Things', the character Lucas is 12 years old. 10. How old is Billy from 'Stranger Things'? Dacre Montgomery (born November 22, 1994) plays Billy on 'Stranger Things'. Dacre is 23 years old. In season 2 of 'Stranger Things', the character Billy is 17 years old. Winona Ryder (born October 29, 1971) is 46 years old. She plays Joyce Byers who is likely in her late 30s/early 40s. David Harbour (born April 10, 1975) is 42 years old. He plays Chief Jim Hopper who is likely in his late 30s/early 40s.